Our 3Quellen technology brings us closer to the dream of fresh spring water. It enables you to activate your mains water using a natural process that requires neither an electrical current nor any additives. Patented 3Quellen water activation combines three natural methods in one piece of equipment. Mains water is swirled in the 3Quellen device by means of shaped ceramic stones. 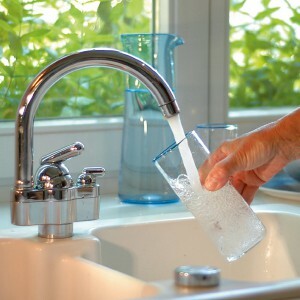 Special minerals and ceramic surface structures also affect the water. Our device is easily installed into the mains water pipe. It is maintenance-free and will keep on working without wear and tear. 3Quellen devices are designed for apartments, houses and businesses. 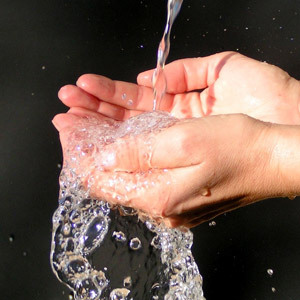 The state ensures that everybody has access to clean drinking water. Water is supplied to our home via the mains water supply. In our modern world, we take it for granted that water is available everywhere. But this luxury comes at a high price. Our water runs through miles of piping, is compressed by pumps, filtered, and stored in reservoirs. It is domesticated. In our technological age, knowledge about the complex effects of pure, active water, and the appreciation of this basic element have, in many cases, been lost. Our bodies are mainly made up of water, so this molecule is essential for our organism. People used to say: “just let the tap run for a little while and the water will taste fresh”. But anybody who has ever tasted water straight from a spring or mountain stream will be able to tell the difference.